I almost did not realise that October has ended. Maybe it is because as much as I enjoy Christmas and the month of December; I don’t want it to come just yet. Or I was really having fun in October, especially on the last days with BMF’s anniversary and so on. That reminds me, my blogversary is in about a months’ time, I just realised now – please remind me again before the month runs out, else I may forget. Now, you are wondering what is wrong with him. Why would he think he would forget his own blogversary? The short response I have is: Sh*t happens. Owkay, the real response is: you know how life seems so stable for you and you are cruising, then all of a sudden, things just happen so fast that you kinda get overwhelmed by the changes life forces on us for a while before you finally accept to readjust everything so that the sail can go on smooth again. At times like this, you find out that you sometimes forget things that are most important to you…and so I say again sh*t happens. BMF's anniversary was tight. Have you seen the pictures on her blog? [see them here] Let the pictures tell the story, I won't say more. To Bola; "keep inspiring us and teaching us how to go about this blogging business. In many ways, I must say that you are a pace setter." Before I start forgetting everything, let me ahead of time wish all those burriful and hansum bloggers celebrating their birthdays in the month of November; having Duru, Alabekee, Sophie and Erniesha (ma blog G-Mama) et al. in mind. I wish them a happy birthday and many happy returns of the day long life and prosperity… hip hip hip… hurraaaaay! Can we now cut the cake? Interestingly, Alabekee and Erniesha shares the same birthday - 2nd November. You know, many of you can promise and fail... but not everyone is like you, at least not BMF. I won a brooch on her blog give away one time like that shaa… I even did not remember that I had not collected my prize yet ooo. She handed it to me (2 to be precise) in her blogversay. See me shy eeehn, wondering what I would do with this woman accessories - lovely looking ornaments, but she said I can give it to my boo or is it bae, I don’t even know again. So now I have been thinking of who this boo will be because I have come to realise that even ma boo geti boo. So it’s a new month…wow! I need to draw out my plan/goals for the month and amongst the priorities will be Christmas shopping, even though I don’t have a clue what I need to be shopping for Christmas. I have the less privileged in mind too. Ooow… Christmas – the best time of the year is around the corner. My hopes are high and every day I will do all I can to see that my hopes and dreams be realised …so help me God! 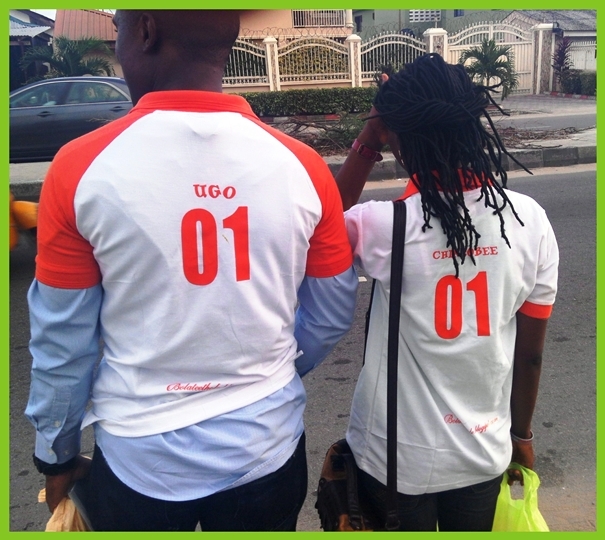 Ugo please let me be your bae nah -:) make hubby no catch me for this thing wey I just talk now oooo. lolz. So I and Erniesha actually share same birthdays? Woooow! That's interesting. This Xmas is going to be tight for me because my brother is getting wedded to his heartthrob and you know what that means. I am not particularly sure of how to respond because I don't want your hubby to catch you ooo...lol. Are we invited to your brother's wedding, I won't mind an owambe experience the Christmas o. You're invited Ugo, it's just that the Wedding is taking place in the East. don't know how possible it will be for you to make it. Happy bloggyversary in advance my darling son. Mami, you can't imagine o! Hmmmmm xmas well, we need to start plamning..it must be the best ever.. This is just a perfect example of a boo weh geti boo... Only your boss knows what he is seeing o...lols! Thanks in advance... as for the planning, we are looking up to you somehow o. Sho ti gbo? yaaaay! thank you Ugo,Chincobee Junmi and everyone who supported me.meeting you guys on Saturday means a whole lot to me.i really appreciate . eeerm ! Ugo all this gum gum you dey do with chincobee i dey use my left eye look you oo ,hian! lets organise xmas getogether bloggers and readers hooking up.it should be fun i guess. Bola, when you say gum gum, do you mean bubble gum abi, paper gum, I don know ooo? Bloggers and blog readers hookup... I like the way you put it. You know you have a way of making things happen. You have to be part of the planning. Tito, i support you on the Christmas gettogether! It's long over due. My own blog Aunty Nkem endorses the Christmas get together idea... I hope the Bloggers world is taking note already? I forgive all of you. Lol. You guys shouldn't leave me behind next time ooo. I'm in for the Christmas get-together. The feeling of being forgiven is one of the best feeling one can ever ask for... thanks Nwamaka. Now, aspa the Christmas get-together, I see you have endorsed it too. So that you are not left behind, you are going to also be at the forefront of this one o... I believe in your abilities and your inputs to make this a reality. The brooches are beautiful Nma. How is camp? Lol! Don't forget your blogversary o. 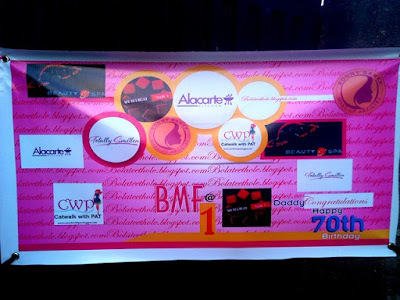 Nice pics at the BMF celebration. You guys sure had fun. And those jewelry are so gorgeous!you should do a giveaway. We did have fun o, you missed. Lol. I will try not to forget my blogversarry, should be doing the giveaway around that time. Lol. Saw the pics! You guys really had fun. Happy weekend Ugo.